Let’s look at the vitamin D osteoporosis link. Increasing calcium alone will not help increase bone density, but adding vitamin D will. Vitamin D is essential to bone health. There are very few foods high in vitamin D and recent studies estimate 1 billion people are deficient in vitamin D. Furthermore, we are learning that the vitamin D RDA (recommended daily allowance) is set way too low. Vitamin D3 is the most active form of D.
Mainly produced in the skin by exposure to sunlight. Our main source is Sunlight. We manufacture vitamin D upon exposure to sunshine. If you live in Florida you may still get some vitamin D in the winter, but for many of us living in the northern hemisphere we can not make vitamin D in the winter. The sun's rays are at a different angle so a supplement is necessary. If you wear sunscreen in the summer you are not getting vitamin D - and of course we need to wear sunscreen when the suns rays are brightest to protect against skin cancer. Another vitamin D osteoporosis link is that after age 50 we don't absorb and assimilate vitamin D as well. If a 35-year-old women and a 65-year-old women walk in the sun for ten minutes the 35-year-old will manufacture 3 times as much vitamin D.
Most women eating a healthy diet may get from 100 to 200 IUs per day which is not enough. Because vitamin D is so important, milk has been fortified with it since 1957 and it is added to many cereals. Find foods rich in vitamin D.
from birth up to age 50 only 400 IU. It rises to 800 IU for people 51 or older. Recent research is finding that these values are woefully inadequate and in the winter they should be about five times that amount, and more in the summer. 400 to 1000 IU for adults under age 50 without osteoporosis or conditions affecting vitamin D absorption. Between 800 and 2000 IU for adults over 50. For people who need added supplementation to reach optimal vitamin D levels, doses up to the current "tolerable upper intake level" (2000 IU) are safely taken without medical supervision. However, many scientists doing Vitamin D research are far exceeding those levels. A simple vitamin D blood test can tell you if you are getting enough. Cholesterol acts as a precursor to vitamin D. Inhibiting the synthesis of cholesterol will also inhibit the synthesis of D3. Low cholesterol diets are deficient in D3 and those taking Statins (cholesterol lowering drugs) are deficient. The vitamin D osteoporosis link shows us that we can all benefit from taking a vitamin D supplement, not only to decrease our risk of osteoporosis, but also to decrease our risk of other ailments. 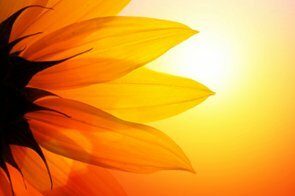 A recent study (August 2010) done at Oxford University, published in Genome Research, shows increasing evidence that vitamin D deficiency also increases an individual's susceptibility to autoimmune conditions such as multiple sclerosis (MS), rheumatoid arthritis and type 1 diabetes, as well as certain cancers and even dementia. If you have osteoporosis or are at risk, book an online consultation with me and get a complete personalized plan to strengthen your bones naturally.